In recent years, the number of ad campaigns in various ad channels has been significantly increased in China like what has been seen in Japan. However, due to a lack of ad analytics tool that manages contact history of each user with multiple ad channels, advertisers were not able to accurately analyze direct effects of their ads such as branding. Based on the business support of beBit’s attribution analytics tool, Adways China is able to solve the issues that advertisers are (will be) facing and support an appropriate allocation of their ad budget. Attribution analysis is an analysis method that looks into how each media channel contributed to a conversion. For example, if a conversion is made after a user clicks on listing ad, attribution analysis evaluates the effects of media channels or ads that the user had seen before the conversion. Adways China expects to support high-quality web marketing by integrating its own customer base and wide know-how in web marketing with beBit’s online ad attribution analytics tool. Adways China will enhance support as a business partner of Japanese and foreign companies entering Chinese market. Online ad attribution analytics tool which evaluates effects of display ad, listing ad, affiliate ad, e-mail newsletter, Organic Search (SEO), SNS and more. webantenna has been used by over 500 major and internet companies. Established in 2000. beBit, Inc. operates mainly in Tokyo, Shanghai and Taiwan and provides digital marketing support with user-centered approach. Utilizing its own digital marketing and website design methods, beBit analyzes behaviors and mentality of users from scientific point of view and provides consulting service and develops software to support company’s digital marketing. Established in 2004. 100%-owned Chinese subsidiary of Adways Inc. providing internet and mobile advertising service. ADWAYS CHINA provides the China’s largest affiliate service “CHANet”, social marketing service “WOM VISION”, search ad service “Keynet” and smartphone incentivized CPI adnetwork “AppDriver China”. It operates mainly in Shanghai, Beijing, Guangzhou, HongKong and Taiwan. 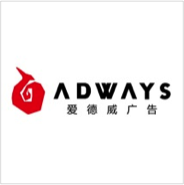 Adways is a digital advertising network and a game publisher head quartered in Tokyo, Japan. It runs one of the largest smart phone app distribution network in Asia. Now, with over 1,000 employees over the world, Adways currently operates in 11 different countries mainly with app marketing agency service, mobile ad network and app tracking tool.